Console version to add Touko Chiyuki and Riku Kozuya sub-stories. 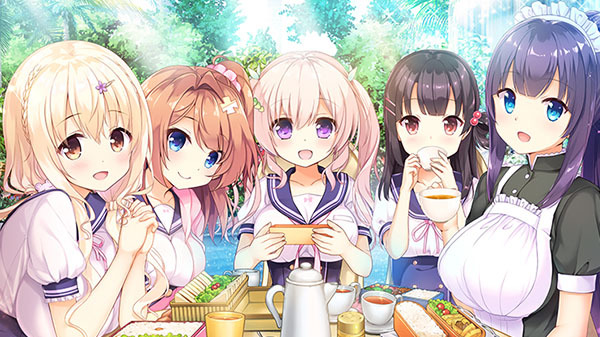 Giga-developed romance visual novel Soi Kano: Gyutto Dakishimete is coming to PlayStation 4, Switch, and PS Vita on February 21, 2019 in Japan, publisher Entergram announced. The standard edition will cost 6,980 yen and a limited edition including a B2 tapestry will cost 8,980 yen. The Switch version will only be released via the Nintendo eShop. The console version will feature newly added sub-stories for heroine characters Touko Chiyuki and Riku Kozuya not featured in the original PC release, which launched in January in Japan.